this trade show is a combination of the newest trends and the businesses who have perfected them in the ever-changing restaurant industry landscape. Join these businesses at the Las Vegas Convention Center from March 27th to the 29th and fully take advantage of this unique show. Any bar, restaurant, or hospitality professional is welcome to attend to better their business. As a commercial furniture company that supplies this industry, we are Vegas-bound to meet our customers and take in all the NCB show has to offer! The East Coast Chair & Barstool booth, of course! As an internet company, it’s always great to meet our customers in person. Our booth is divided into indoor and outdoor sections to show our brand new collections. Come check out our outdoor Caribbean collection that will spruce up any patio or our new Amish-made Quarter Sawn tables that will be the star of your restaurant. We will be at booth #1007 waiting to greet our awesome customers and new faces as well, so make sure you pop by and see us. The educational opportunities! The main keynote speakers are Neil Moffitt (CEO, Hakkasan Group), Lee Cockerell (former executive Vice President, Walt Disney World Resort), Thomas Maas (founder and Master Blender, Agave Loco, LLC), and Kris Jones (president and CEO, Pepperjam). Enjoy demonstrations and conferences from the major names in the business. With these big players (and many others), it’s guaranteed you’ll come out of the NCB show brimming with new ideas for your own restaurant or bar. The customized experience! There are four different paths as an attendee you can experience, tailoring this trade show to your particular interests. Take on the bar, mixology, nightlife, or beer experience and get the most out of attending the NCB trade show. Whichever path you take, there are plenty of workshops, offsite training, and recommended pavilions to create a full and knowledgeable scene. The networking prospects! With more than 600 exhibitors and an expected 40,000 attendees at this trade show, you’re sure to make amazing connections from around the country. The expo and conference both make for fabulous chances to network. Bond with like-minded individuals over complimentary drinks and great entertainment like Ty Dolla $ign and Kaskade at the Platinum Parties. With a party at different location every night during the show, you get a true taste of the Las Vegas nightlife and club scene. Are you attending the Nightclub & Bar Trade Show this year? Make sure to stop by and see us at booth #1007! When it comes time to order a drink, some bar-goers stick with their tried and true favorite cocktails, while others are more interested in following the trends and expanding their horizons when they walk into the bar. These trendsetters seek out the latest and greatest in hopes of informing others of the most recent concoctions or getting that perfect Instagram picture to share with their friends. In the interest of luring these trendsetters into your bar and staying relevant in a competitive industry, we take a look at the trends rising to the forefront of the cocktail industry. For a while, Vodka was frowned upon but is now making its way back into serious cocktails on bar menus this year. Bartenders are embracing this drink as a flexible and approachable ingredient choice. Vodka goes with more than tonic and bartenders are using their creativity to create a wider selection of Vodka based drinks. Part of this resurgence can be credited to more interesting vodkas being produced. Vodka with complexity is making its way into the market and mixologists are responding. Brands such as Belvedere Unfiltered, St. George Green Chile and Citrus, and Absolut Elyx challenge the idea that vodka is an odorless, colorless, and tasteless liqueur. Since 2016, Banana has been making its way into cocktails menus across the country in many forms. Whether it is as a liqueur, spirit, or actual fruit puree, don’t be surprised to see it in your drink. Bananas are available year-round and lend themselves well to being used in cocktails. In light of the recent tiki renaissance that has been happening over the past few years bananas have been gaining ground in bars everywhere including Chicago’s Lost Lake. You may already be seeing this morning favorite making its way into the craft beer industry, and cocktails are not far behind. Soon you will see vodkas and whiskeys being bottled with cold-brew coffee as part of the mix. This is not the first time coffee and alcohol have been paired together. 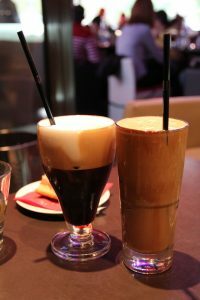 Who can forget classics like Irish coffee, or Kahlua and coffee but modern coffee cocktails go beyond adding a bit of booze to a cup of coffee and calling it a drink. This combination of coffee shop and bar makes perfect sense. In many restaurants, bartenders are also in charge of making espresso drinks, and it is a good use for coffee that isn’t served during the day. Both the coffee and bar businesses are high-profit, but they’re only high profit for a short period of the day. So expect to see more and more of these dual purpose drinks being served from behind the same doors. Americans are consuming more tequila than ever before. In fact, tequila ranks right behind whiskey as the most popular distilled spirit in the United States. The trend is being driven by the production of higher-end tequilas such as Fortaleza, Casa Noble, and Astral. 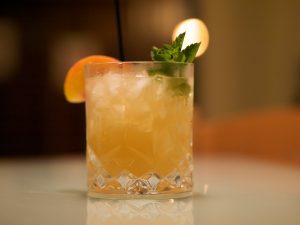 As a result, more cocktails that are tequila-based are making their way onto bar menus around the country. The prevalence in tequila will leave its mark on the cocktail industry with a new resurgence of other agave based drinks such as Mezcal, a drink made from the Espadin agave plant that produces a unique smoky flavor that differentiates it from tequila. Over the past few years the country has turned its focus towards fresher and healthier ingredients in their meals, a trend which is beginning to catch on with cocktails as well. The days of sweet and sour mix being used for speed, efficiency, and flavor control are on their way out. Today’s bartenders and bar managers are embracing the idea of fresh, healthy ingredients being used to take their cocktails to the next level. In certain areas of the country where it is summer year round, expect to see cocktails with local flavors highlighting the citrus, fruit, veggies, and herbs, readily available and indigenous to the area. More and more drinkers are focusing on the experience of drinking and less on just getting a buzz. Consumers increasingly want a story behind their cocktails and bartenders are responding by using regional spirits brewed using ancient recipes, or by creating cocktails to match the drinker’s own recent experiences. People are fascinated by drinks and the bartenders who serve them. In 2014 Jack Daniels released a series of videos on Youtube highlighting the craziest tales bartenders around the country had to share. By doing this they were giving consumers the stories and history they wanted while making them synonymous with their whiskey. The best bartenders have always understood the usefulness of theater, without going over the top (we’re looking at you Tom Cruise). So in 2017 be prepared to see more and more theater in the glass, as mixologists seek out more unique and interesting ingredients. Ingredients like the Butterfly Pea flower, a flower that is ph sensitive and will change the color of a drink when mixed with citrus. Another flower to be on the lookout for is the Szechuan Button, an edible flower that delivers an electric hit to the consumer when chewed on. The flower is electrifying and hits you on a molecular level causing you to experience mouth tingling. One of the strangest yet most intriguing trends of 2017 is cocktails being based on emotions. Some bars, like Trick Dog in San Francisco, are forgoing names for their cocktails in favor of moods, scents, color, and even astrological signs. Order a red drink to stimulate confidence or black for discipline. Bars that are using scents such as smoked pine or cut grass, are doing so to evoke nostalgic feelings of certain times of the year or places with fond memories to keep them customers coming back for more. It might not be a trend for all bars but expect to see it popping up more and more throughout the year. Sure, Manhattan will always be one of leaders in cocktail trends. But don’t count out emerging cities like Brooklyn, Pittsburgh, Nashville, Charleston, San Diego, and Houston. These cities have cheaper rents and thirsty young people are flocking to them. With the influx of young adults, be looking for new bars and new cocktails to make their way to the forefront of the industry. Frozen drinks have always been a fun way of changing up drinks but recently bartenders have been upping the frozen drinks game, translating into expertly prepared frozen cocktails. 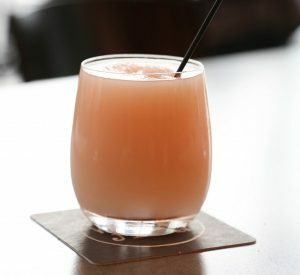 It started with frosé, which is exactly what it sounds like, a frozen Rosé drink. But now the frozen drink industry has taken off in a way it never has before. Upscale drinks are being turned into refreshing frozen libations with the use of tools like liquid nitrogen, turbo icemakers, and the always dependable slushy machine. For a time, 70s, 80s, and 90s style cocktails were not an option in craft cocktail bars. They were frowned upon for their use of artificial ingredients and thought to be too sweet and unsophisticated. Bartenders are now revisiting these guilty pleasure drinks and re-imagining them with fresh, quality ingredients and transforming these decade old cocktails into delicious, yet well-executed drinks. Craft cocktail bars around the country are now showcasing adaptations on these retro drinks and you’ll probably be seeing a lot more of them in the coming year. While a nameless cocktail might not be the right fit for your bar, you might want to consider adding a few of these trends to your bar’s menu. Staying relevant in this industry can mean the difference between a great year and being forced to close your doors. Experiment with adding a few vodka based cocktails to your lineup or maybe even a color changing mixture to gather a few ooh’s and ahh’s. If you are willing to do so you will have a better chance staying at the industry forefront in 2017. So, you’ve finally found those tabletops that are going to look perfect in your restaurant, but which bases should you choose to accompany them? Believe it or not, this is one of the most common questions that our customer care team receives. The answer is both surprisingly straightforward and difficult at the same time; there are many different variables involved, including personal taste, location, and cost. Fortunately, after fielding this question from customers far too many times to count, we are ideally positioned to answer it for our readers. Here are 3 of the most important factors to consider when choosing a base, as well as advice on how to choose the right table bases. The first consideration when choosing a table base is location. Specifically, will you be using the table indoors or outdoors? Most outdoor table bases are constructed from aluminum, stainless steel, powder coated steel, or cast iron. If you live in a coastal area with high levels of salinity in the air, then aluminum is a great choice because it will offer the best protection against rust and/or corrosion. If salt spray isn’t an issue for you, then you can choose between any of the outdoor base materials. Ok, this is where it starts to get a little complicated. 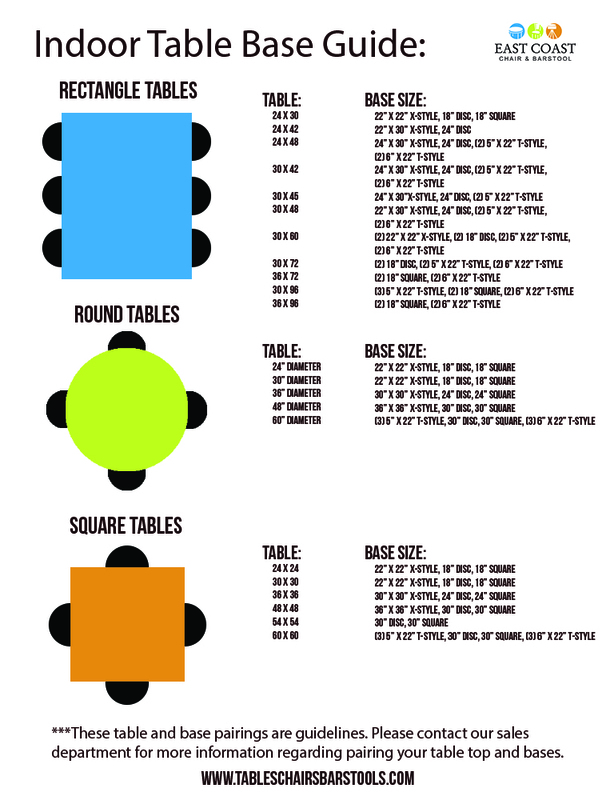 The shape and size of your table is the biggest factor in what type and size of base you choose. Have you ever gone to a restaurant and leaned on the table only to have it start tipping over? If so, that’s because the table wasn’t properly supported by the base. That happens a lot with rectangular tables and large heavy tables. Often, customers will call in and want a single base in the middle of a 30” x 48” rectangular table. While that may work with a lightweight laminate or plywood table, it won’t offer the support needed for a heavy solid wood or resin table. What we recommend is putting one smaller t-style base at each end of the table so that it is supported from the ends instead of the middle. The same idea applies to large square and round tables as well. The weight of the base that you choose is also important. In general, the weight of your base should coincide with the weight of your table. Lightweight tables like melamine, laminates, and aluminum tables go best with lighter x-style bases, while heavier tables like solid wood, and resin pair well with heavier disc and plate style bases. There are a few other considerations with regard to weight. If you move your tables frequently – perhaps you host events – you may want to go with a lighter weight base that is easier to move. The other special consideration is if you are using an umbrella on an outdoor table. In that case, you will either need to choose a heavy base that is specifically designed to accept an umbrella, or choose a leg style table base that will also allow you to use a heavy umbrella base. While there is no “one size fits all” algorithm for choosing the right table base for your restaurant, we can give you the guidelines and our recommendations. The chart and infographic below should make it a much easier process.